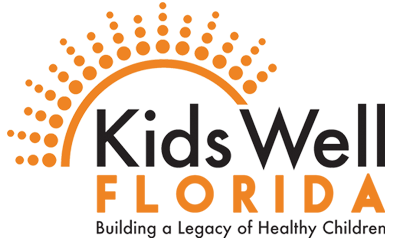 On Thursday, March 17, Governor Rick Scott signed HB 5101 into law, thereby lifting the five-year waiting period for lawfully residing immigrant children to receive subsidized CHIP and Medicaid through Florida KidCare. This makes Florida the 31st state to take advantage of the provision known as the Legal Immigrant Children’s Health Improvement Act passed into law as part of the reauthorization of CHIP in 2009. For seven years since the unwavering efforts of former Congressman Lincoln Diaz Balart from Florida and 16 other Representatives, advocates have sought to bring this provision to Florida. So what changed in 2016? There were many factors at play, but a major turning point was undoubtedly the increase in Florida’s federal match to 95 percent as part of the adoption of an enhanced CHIP matching rate (known as the “CHIP bump”) last year when the Medicare Access and CHIP Reauthorization Act (MACRA) was enacted. This, coupled with estimated savings from the Emergency Medical Assistance Trust Fund, resulted in new projections ranging from no cost to a savings to the state, a considerable shift given that the Agency for Health Care Administration (AHCA) had given the bill a fiscal note of $500 million just three years ago. Advocates who refused to give up and who repeatedly challenged cost estimates, who rewrote the legislation to make clear that only documented children were being served to calm growing anti-immigrant sentiments, and who grew the coalition of supporters to include influential faith-based, civic and business leaders. These leaders called on leadership to enact the provision, with Speaker Crisafulli making this a surprise top priority on the opening day of Session. To be sure, ALL of these factors helped to create great synergy and build momentum, which led to a remarkable accomplishment for the children of Florida who have been waiting for seven years, and who deserve nothing less.